This is an abridged version of a speech given by Michael Thorn at the launch of The hidden harm: Alcohol’s impact on children and families at NSW Parliament House on 24 February 2015. Funded by the Foundation for Alcohol Research and Education (FARE) and undertaken by the Centre for Alcohol Policy Research, The hidden harm sheds new light on alcohol-related family and domestic violence in Australia. In response to these findings, FARE developed a Policy options paper to begin the conversation on what we can do to prevent alcohol-related family and domestic violence and we welcome your feedback on this by 31 March 2015. The findings of The hidden harm clearly demonstrates that the harms of alcohol – to women, children and families – remain significant and heart-rending. Let us not forget that for every research study, there are countless personal stories like the one shared by Rosie Batty. We know family and domestic violence is a violation of human rights. So too is child abuse. It often occurs in the home, where one should feel safest and is often perpetrated by a loved one, with whom people should feel safest. The research presents a startling and confronting picture of the significant impact that alcohol-related family and domestic violence has on Australians – with alcohol involved in up to 65 per cent of domestic violence incidents and 47 per cent of all child protection cases, depending on the state or territory. Now that we have this research, we must not only ensure that we discuss and promote the findings. We also have a responsibility to work together to develop policy and program options that will prevent and reduce alcohol-related family violence. It cannot be ignored. The hidden harm makes very clear that because of the scale of the problem and the large numbers of children and families affected; governments must embrace a broad public health approach with a strong focus on prevention. 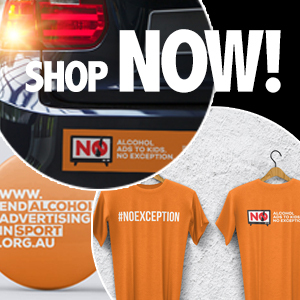 As the evidence mounts, both of the extent of alcohol harm in Australia and the many sound and proven strategies for addressing those harms, it is now time for governments to lead the way and take decisive action. Over the past 12 months FARE has worked with the public health sector, women’s organisations, family services and researchers to develop policy options to begin the conversation on what we can and must do to prevent alcohol-related family violence. The resulting Policy options paper; Preventing alcohol-related family and domestic violence takes a public health approach to preventing harms and is a comprehensive response to the problem. The paper examines a range of ways to prevent and reduce the harms: from reducing the ready availability of alcohol in the community to supporting people who have been affected by alcohol-related family and domestic violence. It proposes 28 practical policy options, focusing on primordial, primary, secondary and tertiary prevention. We welcome feedback from all who are interested, before the final paper is presented to decision makers later this year. Alcohol-related family and domestic violence occurs all too frequently in Australia, and as a society, we need to be doing all we can to reduce the incidence and severity of the harms. 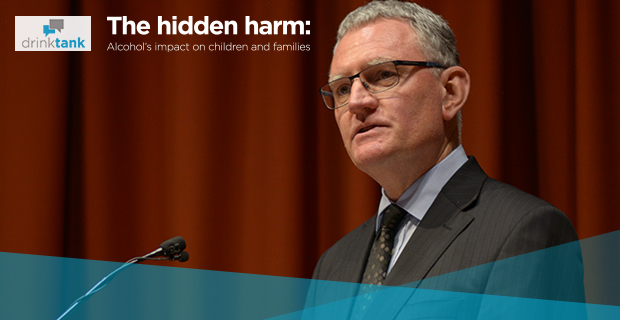 Download the accompanying PowerPoint presentation and watch the video of Michael Thorn’s address at the launch of The hidden harm.